“How a combi boiler works?” is probably the next logical question after “What is a combi boiler?” If you’ve been researching boilers for a while now and stumbled upon this post, then you already know what we’re talking about. However, we do get this question a lot by our clients who are new to this. You see, a large portion of the public may not have to worry about a combi boiler installation, especially if their existing combi boilers have been running fine for over 15-20 years. Condensing combi boilers are a relatively newer addition to the UK market, and hence the question “How a Combi Boiler Works?” never crosses their mind. I mean let’s be honest, if the need isn’t there, how many of us really think about a boiler in our day-to-day lives? Central heating is a really convenient luxury to have. Everyone has a basic understanding of how a boiler works. Whichever fuel the boiler is running on, whether it’s Mains Gas, Oil or LPG, it enters a sealed combustion chamber inside the boiler and an electric ignition sets it alight. The primary heat exchanger within the boiler is then heated up to heat incoming water up to 60 degrees, flowing through all the radiators and heating up your home. That’s the basic explanation of how a boiler works. Primary heat exchanger heats and recycles the water that goes through the pipes into the radiators. Secondary plate heat exchanger heats up the hot water that goes into your taps. The primary heat exchanger heats the water that goes into the radiators. That’s how a combi boiler works to heat your house. This water travels through the radiators and recycles back into the boiler. And the boiler keeps firing to reheat that water and keep it at around 60 degrees celsius. This water gets quite dirty, as you can imagine. The water that travels through the radiators and recycles back to the combi boiler is undrinkable. To give you clean, hot, drinking water, how a combi boiler works when you turn on a hot water tap in your house, is it pauses the central heating, or heating of the radiators. 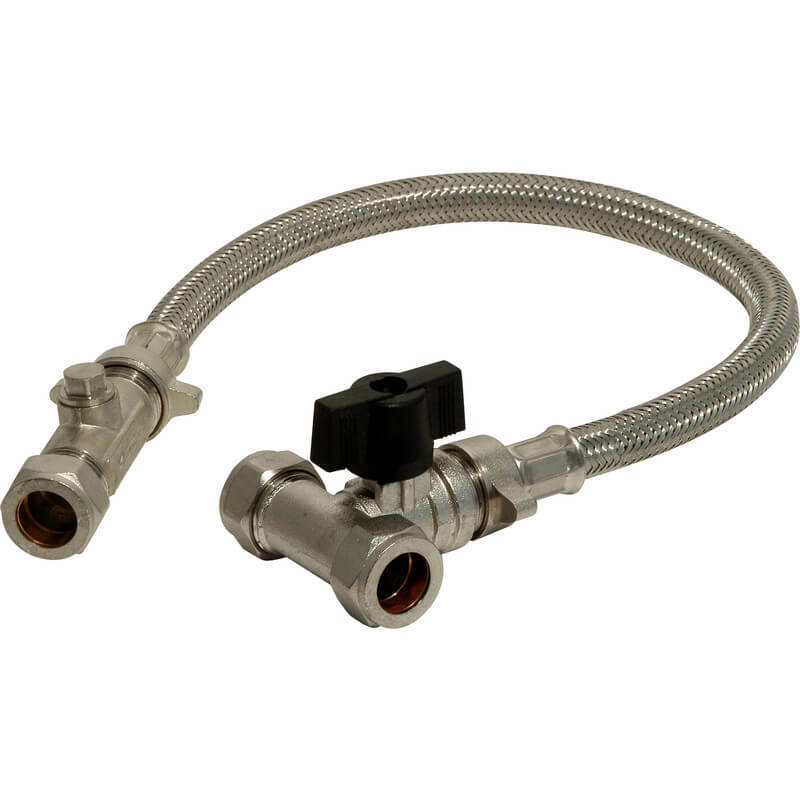 And then opens a diverter valve which lets the recycled heating water enter the secondary plate heat exchanger heating the sealed pipes carrying the clean water delivering them to your hot water taps or shower. When this switching happens, you will hear some boilers switching on and off as you open the taps. Unlike Open Vent boilers, how a combi boiler works is through a closed system. If any air gets into the system, it affects the boiler, pump and the heating. If the boiler loses further pressure, it will stop working and show an error code on the display. Sudden pressure loss may be caused by a loose or rusty connection. A filling loop is used to get the pressure of a combi boiler back up to recommended levels. Every boiler has a pressure gauge on it, usually next to the display. The pressure on a combi boiler should never be allowed to drop under 1 bar, or go over 3 bar. A safe range is between 1.5 and 2 bar. If your boiler pressure drops below or goes above the levels specified by the manufacturer, the filling loop can be opened until the combi boiler pressure returns back to normal. We recommend you refer to the boiler manual or manufacturer website or resources for step by step guides on how to do it. 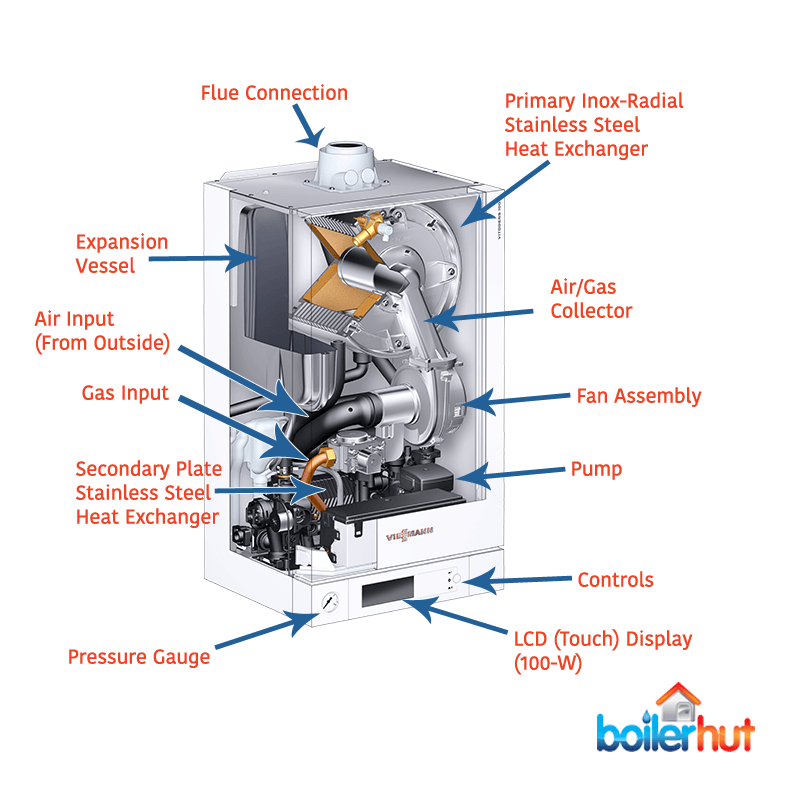 How a combi boiler works can be very complicated and requires the best, safest installation possible. 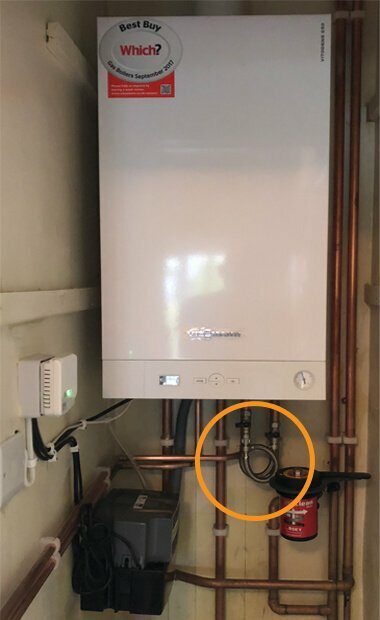 Some people make the mistake of thinking that because combi boilers are compact, and don’t require extra tanks, it should be easy enough to install it themselves. Not only is it extremely dangerous, but it’s also illegal to install a combi boiler if you’re not certified. Illegal gas workers are prosecuted on a daily basis, and for good reason. Even if you have broken the law and installed a combi boiler before, you still don’t have years of expertise, knowledge or the correct test equipment to install a boiler. And when there are gas connections involved, it’s incredibly stupid to put your or your family’s life in danger. A Gas Safe Registered Engineer spends 5 years studying, and hit their true level of experience in 5-10 years. Flue Gas Analysers are required by law, which cost between £600 & £1000. Flues Gas Analysers need to be calibrated annually and hold a certificate. Suitability of the boiler for the property needs to be checked. Boiler siting needs to be safe and comply with Gas Safe & Building Regulations. Manufacturer specified appropriate materials and fittings have to be used. 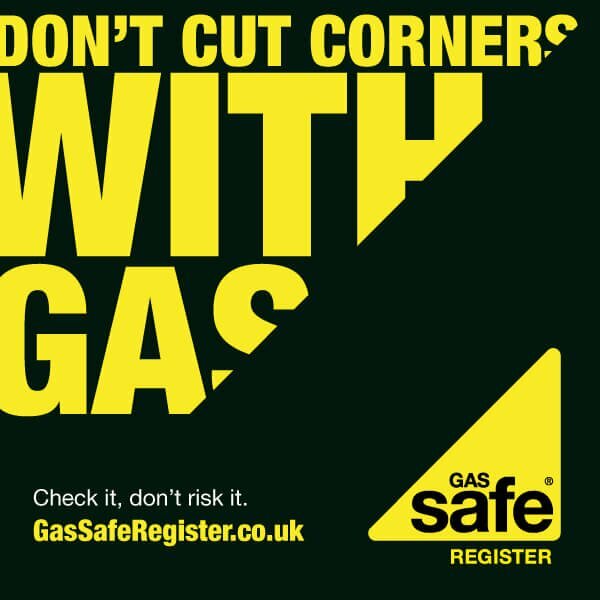 If you’re not Gas Safe Registered and make a new gas connection to a boiler = heavy fines or prison. Equipment like Manometers test the gas supply and make sure the pressures are safe. Gas integrity needs to be tested prior to connecting the boiler. And again once connected. Let-by test & tightness test. Flow rates need to be checked and adjusted. Gas Safe Engineers need to gas rate the boiler, and check gas pressures and flue integrity. PLEASE NOTE: After reading all of the above, you still decide to chance it and install the boiler and make gas connections yourself, you will invalidate the boiler warranty. (On top of paying a hefty fine or sharing a prison bunk bed with your Gas Safe buddy who signed off on it). On top of that, it’s also crucial to choose the right manufacturer. So, which is the best combi boiler manufacturer in the UK? According to our installers, and our in-house heating experts and engineers, the answer to this question would have been different 10-15 years ago. But in 2018, the answer is pretty simple and straightforward. We think Viessmann are the best combi boiler manufacturer not just in the UK market, but in the world right now. Every Viessmann boiler has a patented Inox-Radial Stainless Steel Heat Exchanger inside every boiler throughout their boiler range. That’s manufactured in-house at their factory in Germany, and no other boiler manufacturer has that. Along with other unique innovations like PRV (Pressure Release Valve) and Condensate combined into one unit, and in-built shock arresters + 10 year warranties, you really can’t go wrong with Viessmann. Which is why they were given a “Best Buy Award” in September 2017 by the UK’s largest consumer organisation.